Born (1955), Shiftan studied English Literature and Philosophy (BA 1980) at the Hebrew University, Ceramics at Bezalel Academy of Art and Design, (1980 -1982), Eastern Michigan University (MA 1984) and at Cranbrook Academy of Art and Design, (MFA 1986). Shiftan worked at Pewabic Pottery, Detroit Michigan (1986 to 1999) as Instructor, Production Manager - Senior Designer and Director of Education. 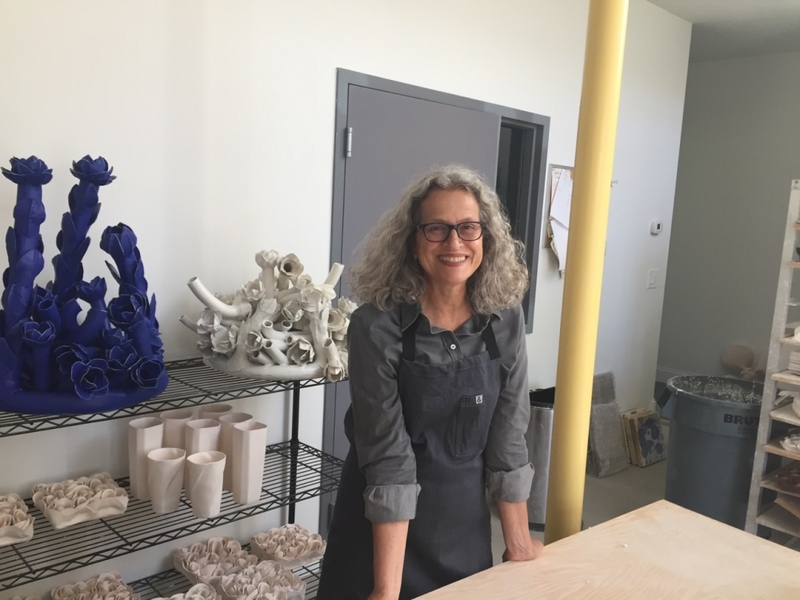 She taught at Bezalel Academy of Art and Design (1999-2002) and is teaching ceramics at SUNY New Paltz, NY since 2003 where she is currently head of the Ceramics Program. Shiftan received twice the Michigan Grant for Individual Artists and exhibited her work extensively. Shiftan has collaboratively organized: Contemporary Issues in Clay: A British Perspective, (2006), Why Clay (2008) and organized Beyond Hand Made (2008), all symposiums that examine theoretical, social and economical trends that are the context in which creative practice in visual arts occurs today. Recent exhibition include solo shows at Pewabic Pottery, Greenwich House Pottery NY, The Clay Studio Philadelphia PA, Vessels Gallery Boston MA, and in group shows at Wave Hill NY, The Clay Studio, Great China Museum, China Jingdezhen, Jingdezhen Contemporary International Ceramics Exhibition, The Dorsky Museum, and Art Shanghai. Hot Pots, Portchester Clay Art Center, NY. One Person: Thomas Hunter Projects: Nature Reconsidered, NYC, NY. Naturaly, Clay Art Center, Schacht Gallery, Saratoga, NY. Comission: Tile relief walls for W Hotel, Singapore, Installed June 2012. November 2011: Queens College, NYC. (Group Show) Ceramics Material and Material Culture, Curated Sin Ying Ho. The Gift of Art, Vessels Gallery Jan 2011. · Stilled Life, Greenwich House Pottery February. Small Favors V, The Clay Studio, May 2010. Reobjectification, Leslie Ferrin Gallery, SOFA NYC and Leslie Ferrin Gallery, Pittsfield, NY, July, 2010. Earth, Rockland Center for the Arts, NY, October. Pewabic Pottery, Detroit Mich. March 2008. Anat Shiftan, Digital Art, WAW Peekskill Extension Center Gallery, April 2008. Tercet, Anelle Gandellman Fine Art, Larchmont, NY, October 2008. 6 x 6, tile show for All Fired Up, Clay Art Center, October 2008. Buckham Gallery, Flint Mich. May 2008. Small Favors II, The Clay Studio, May 2008.